Retailers in various industries—be it fashion, homeware, or food—are reaping the benefits of Instagram. With over 800 million monthly active users, 500 million daily actives, and billions of likes per day, it’s evident that people aren’t just using Instagram, they’re also coming back and engaging with the content on a regular basis. 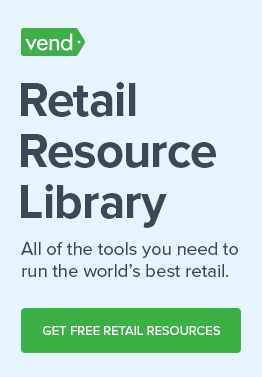 This makes it a fantastic tool for retailers who want to connect with their audience. 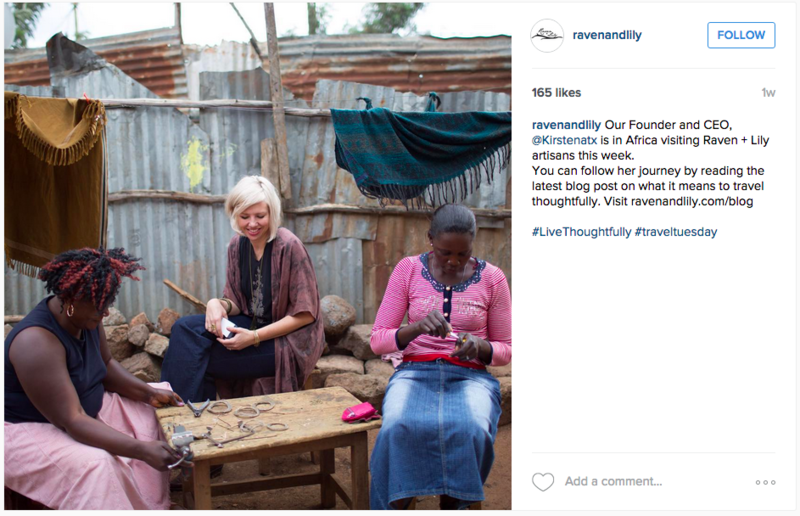 Of course, your success on Instagram largely hinges on the content you put out there. You can’t just post promotional or low-quality images or Stories, then expect engagement and followers to pour in. To get a good ROI from your Instagram efforts, you need to invest the time and resources into regularly publishing engaging content. What exactly are the content types that you should be posting? That’s what this post aims to answer. Below are examples of posts that typically do well on Instagram. Go through them and see if you can incorporate them into your Instagram posts or Stories. Give your followers ideas that they can apply to their wardrobe, home, or even kitchen (depending on what type of store you have). For instance, if you sell apparel, why not post outfit inspirations featuring your very own products? And be sure to tag them with the hashtag #OOTD to get more traction. Remember, you can apply this tip even if you’re not in the fashion industry. Homeware stores, gift shops, and food retailers can also publish these types of posts and tailor them for their industries. West Elm, for instance, constantly posts images of home furnishings to give people decorating ideas, while Whole Foods publishes scrumptious food photos with recipes. Don’t just utilize Instagram to post product images, use it to spread motivational and inspirational messages as well. These types of posts are bound to put a smile on your followers’ faces and get them to genuinely *like* you. 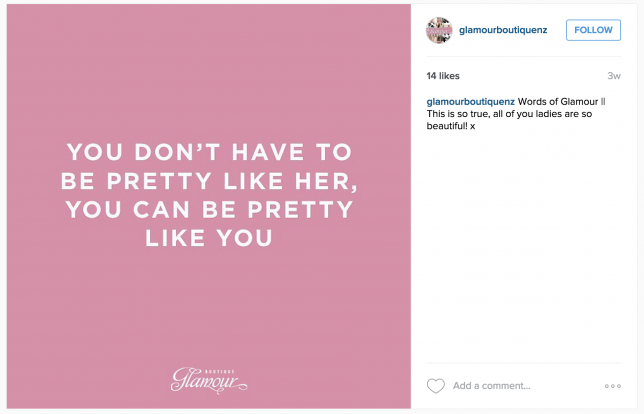 Check out Vend customer Glamour Boutique, which regularly posts feel-good messages such as the one below. Do a bit of research on who your customers’ role models are. Who do they look up to? Who are they constantly talking about? Figure out the answers to these questions, then find images that you can post. Nike does a really good job at this. The brand often puts out images of great athletes, and they always get a lot of engagement from doing so. Give your audience a peek at what’s going on behind the scenes. In addition to adding variety to your Instagram profile, these types of posts offer your followers a look at a different side of your company. This could strengthen their connection with your brand. Consider T-We Tea in San Francisco. On top of posting photos of their amazing products and fun staff, they also throw in images of their teas being made. Does your business stand for a good cause? Are you running any philanthropic initiatives? Spread the word through Instagram. 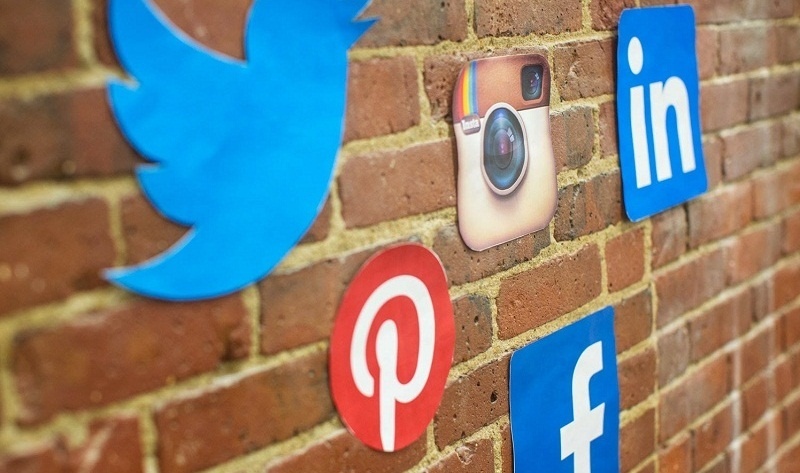 This will enrich your followers’ feeds, and it could even help your bottom line. Take a leaf out of Raven + Lily’s playbook. An ethical fashion and lifestyle brand, Raven + Lily constantly publishes uplifting posts on women empowerment and thoughtful living. Showcase some of your best merchandise on Instagram and give your followers opportunities to buy right from the app. Look into Instagram selling solutions such as Soldsie and Like2Buy to power this type of post. TopShelf Style does a killer job at this. 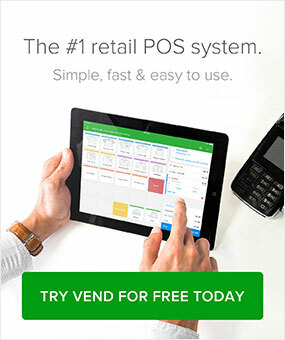 Owner Christina Ruiz uses Soldsie to sell merchandise through the app. All she has to do is post a great-looking photo of what she’s selling, then invites followers to comment “sold” if they want to purchase it. TopShelf will then generate an invoice to move forward with the transaction. You don’t have to be the only one doing taking pictures. If you have active customers who like to show off how they use your products, why not ask their permission to repost? 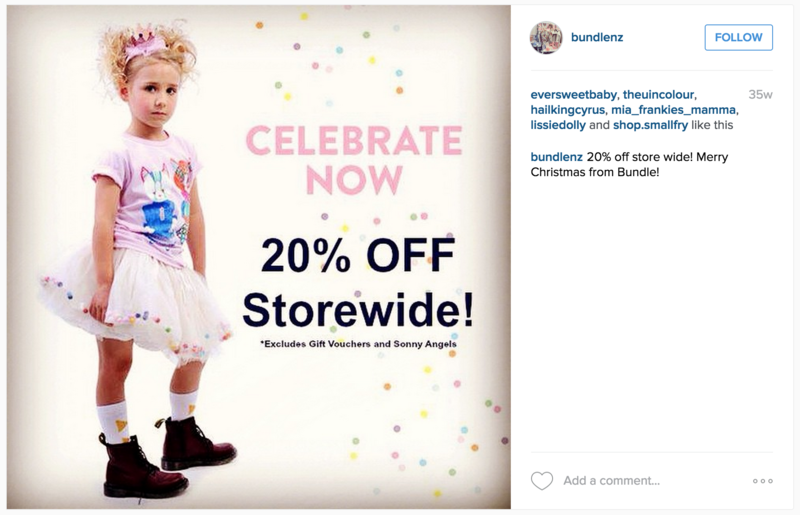 Invite people to tag images with your store-specific hashtag, then see if you can post those same images on your account. Just be sure to ask permission and give credit to the owner. Have a look at what GoPro does. 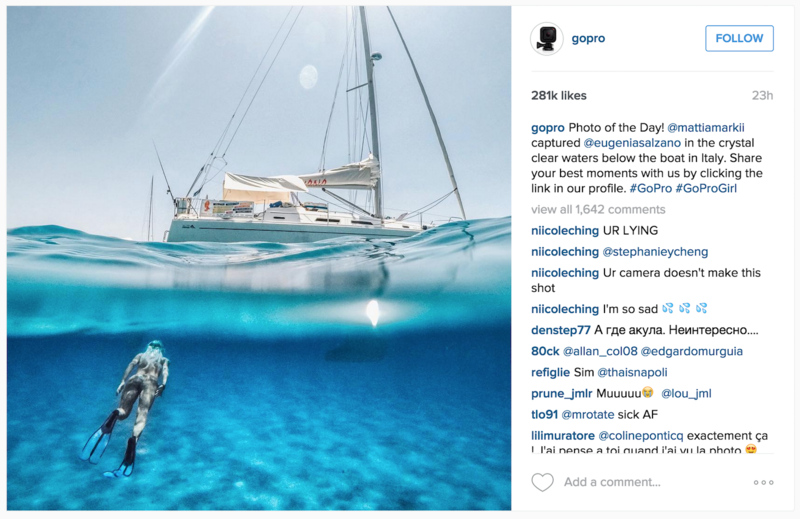 The company frequently posts “Photos of the Day” from their users who take great-looking shots using their products. 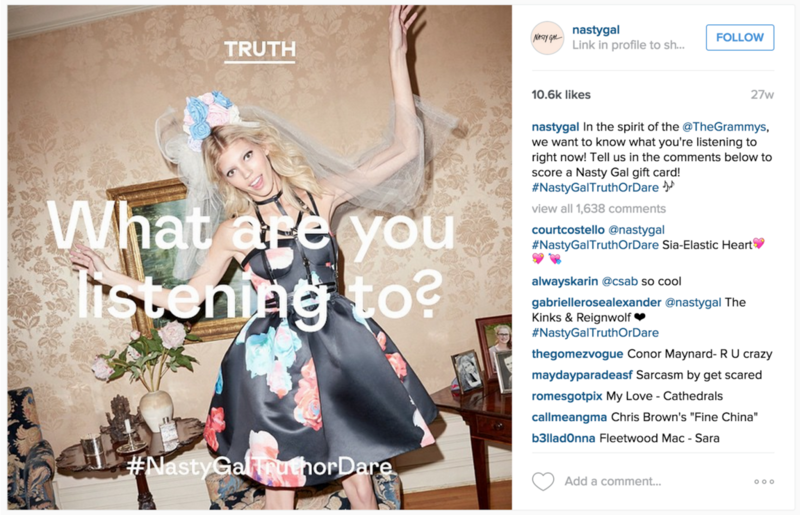 Here’s another way to connect with your Instagram followers: Why not ask them questions through posts? Doing so will not only generate engagement, but you’ll get to know your followers better. It’s ok to publish promotional posts on Instagram, just as long as you don’t do it very often. The number of non-promotional images should outweigh your promotional ones, so your audience doesn’t feel like you’re only using the platform to push your products. 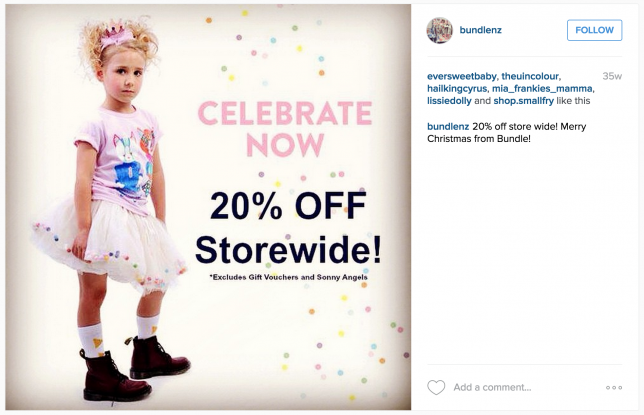 That said, the occasional promotional image—such as the one by Bundle Boutique below—could help generate awareness for any offers that you’re running. Looking to run a promotion? Check out the best types of sales promotions that work best in retail — and how to implement them. 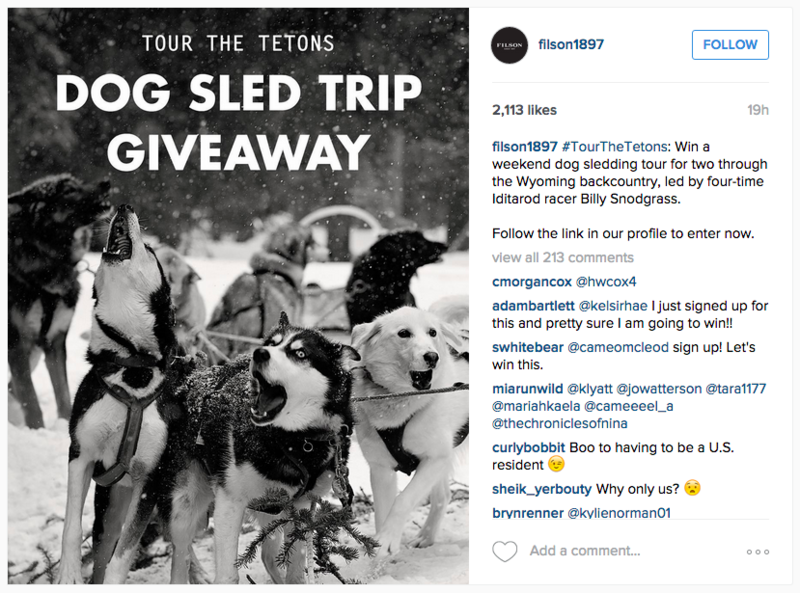 Giveaways are hugely popular on Instagram simply because people love free stuff. 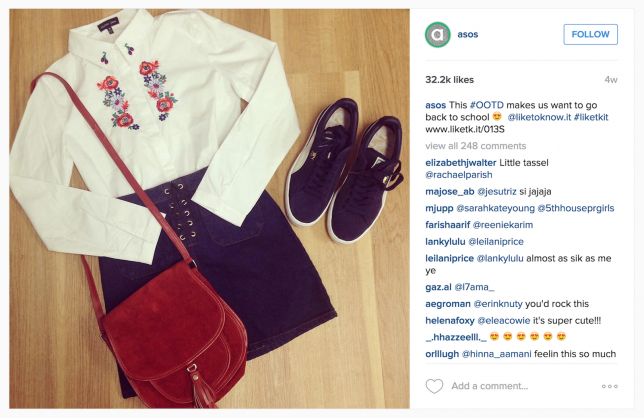 If you’re running a contest in your store, give your Instagram followers a heads up by posting an image or Story on the app. Be sure to provide details on the prize as well as how to enter. Looking for new employees? 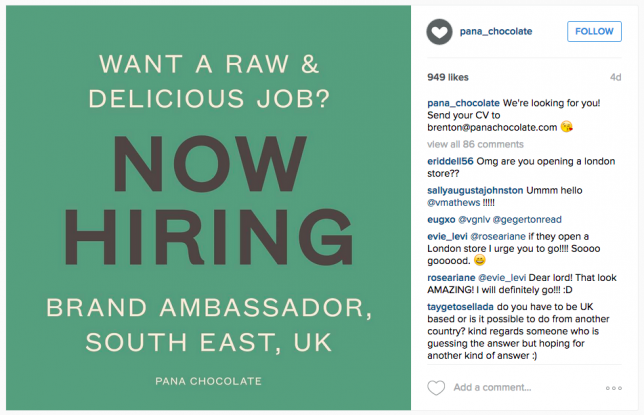 Your next great hire just might be on Instagram. Most of the people who follow you on the app are likely those are already familiar — even enthusiastic — about your brand. These are the best to people to hire because you won’t have to orient or convince them to be brand ambassadors. Pana Chocolate is one example of a shop using Instagram as a hiring tool. Take a look at their post below and notice how well-received it is. Throwback photos are also quite popular. If you’be been in business for a while, consider posting an image of early versions of your products. Another option is to post an old photo of your founder or a key employee. People who’ve been shopping at your store for a while will get a chance to take a trip down memory lane, while your newer customers will have the opportunity to glimpse what your business (or your people) looked like years past. One brand that does this well is BMW. The automaker regular posts photos of its classic models on Instagram, and people love it. If it makes sense for your brand, consider showing your sense of humor by posting a hilarious photo or joke. It’ll help you stand out from accounts that are always posting product photos or “me too” types of posts. Plus, it’s a great way to get laughs — and shares! Images of great-looking places are a huge hit on Instagram. That’s why if you have a gorgeous store or if you’re running an event or popup in an amazing location, don’t forget to snap tons of photos that you can publish on Instagram. In doing so, you’ll not only generate likes and engagement, but you’ll even encourage your followers to pay you a visit! See to it that your Instagram feed keeps up with the times. If there’s a special holiday or if it’s a particular time of year, be sure to acknowledge it with a relevant Instagram post. Incorporate these themes in your Stories – The suggestions above make for great Instagram posts, but don’t forget that you can also use them in your Instagram Stories. There are now more than 250 million people using Stories daily so this tool can offer tremendous opportunity to reach your audiences. “Of course, the product can be put front and center of the Story too,” she adds. A product-centric Instagram Story “acts as another way to entice customers with moving images of the product in action.” As an example, Page mentions Stephanie Gottlieb, a private jeweler in NYC, who shows off her jewelry’s glittering diamonds through Instagram Stories. Use hashtags – Tag your posts with the appropriate hashtags to increase their findability. Look for common tags in your industry, and see if you can incorporate them into your content. 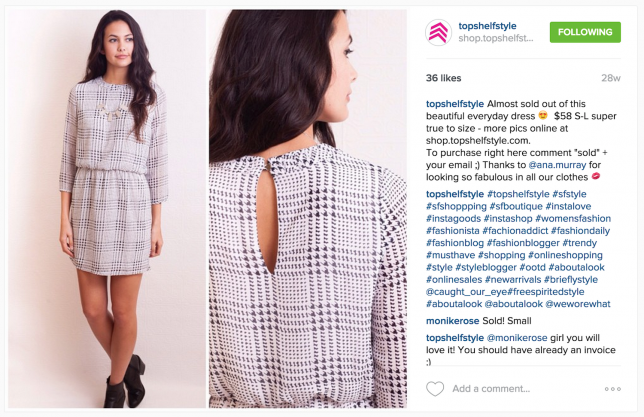 For instance, in fashion, many retailers tag their posts with popular #OOTD hashtag. 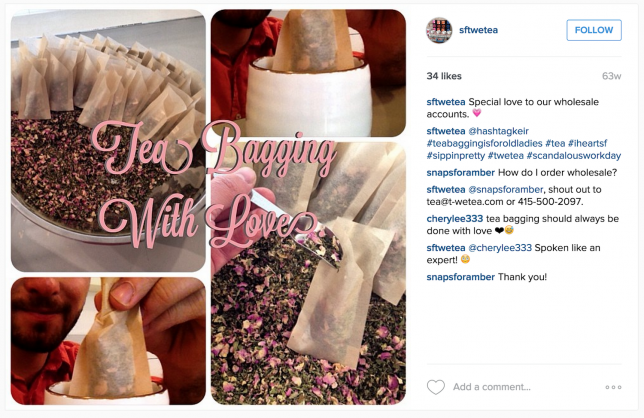 You could also explore trending hashtags on Instagram to find popular ones that you can leverage. Just make sure that you’re only using relevant and appropriate hashtags in your posts. Combine post types – For best results, consider combining the post types above. For example, if you’re posting a photo of someone your customers admire, why not include an inspirational quote from them? 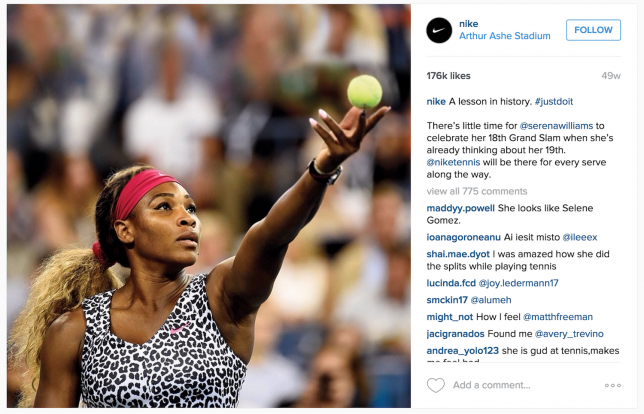 The Instagram posts above obviously worked well for the brands that posted them. However, before you start posting the same types of images or videos, be sure to do your research to see if they would resonate with your audience. Also, don’t be discouraged if you don’t get immediate traction. Keep posting, do a bit of trial and error, then take note of what works and what doesn’t. Did we miss any like-worthy Instagram posts? Tell us about them in the comments. Thanks for sharing such a variety of tips. Any business could implement at least one of these content types immediately and get results. Great article! Thanks. 🙂 Too many service oriented businesess underestimate Instagram due to the lack of media. But it worth at least trying. “We are hiring” posts didn’t work well for us though. Follow http://www.millforbusiness.com/ for some great pics that you can freely share with your followers (do not forget to include #regram and @millforbusiness). Undoubtedly its one of the helpful guideline on making the post in Instagram popular. I am totally agree with all of the points mentioned above. Not only promotional but also some other kind of post need to give there. And hashtag also plays a vital role here, as the post can be found by those tags. I think right and relevant tag are more important to posting with different type of image on #Instagram… it’s people easily discover. We are a #1 Social Media Services Company, based in Ukraine, we passed by your Facebook Page and thought to offer you our Automatic Facebook & Instagram Post REAL Likes! Just used tip number 6 on my site https://speakeasyrecords.com.au with almost instant results! Thanks!